Taylor Christian Marketing – Christian marketing, specializing in social media, website design, graphic design, Google PPC management, and blogging (Spokane, WA). We build mobile-responsive WordPress websites with themes made from scratch or quality templates & provide professional graphic design services. We implement a wide range of SEO strategies that will have a long-term impact in helping your business attract new customers. We have the skillsets required to help you conceive a plan to make sure your business goals are met when implementing new strategies. We have perfected a proven system of online reputation management that really works. Improve your online reviews and earn new business. Make your message go viral and engage the community through contests, interactions, quality content and brand awareness campaigns. We find customers in your demographic, connect them with your business through digital media and track them through the sales funnel. "I was born and raised in Spokane, WA. I've always had a knack for marketing but was a little misguided. In my college years I hosted massive parties with beer pong brackets, buy-ins, trophies, refs... you get the picture. After a party one night, I was jumped by 13 people. I received a painful wake up call. The next day I went to church and meet Jesus in a powerful way. He has been my everything ever since. At that time my marketing focus shifted. I worked at a real estate marketing firm for the next 3 years and advanced to the position of National Marketing Trainer. My business was born around that time. I've been in business for close to 10 years now. It's my passion to use marketing for good: to help a business reach more people, grow profits, save money, give back and promote the Gospel. Thank you for your support of this business as we partner to transform our community." "In Taylor's work with our blog he has done an amazing job helping us dramatically increase blog viewership and email subscribers." "We saw an increase in our volume of sales working with Taylor Christian Marketing. Taylor works with an amazing amount of integrity and dedication. He strives to always be a marketing front-runner while displaying great knowledge and marketing strategies." 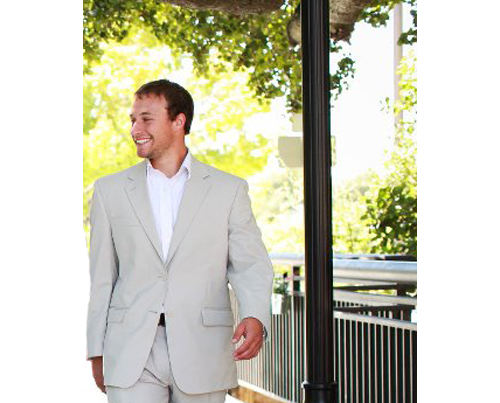 "Working with Taylor Christian Marketing has been huge for us this year. We were able to more than double our organization's donations and sell out our annual fundraiser for the 1st time."